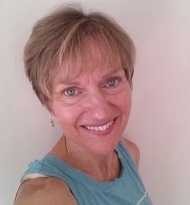 Mary is a certified Kripalu yoga instructor with many years of practice experience. An enthusiastic student with a lifelong passion for creative engagement and the visual arts, her teaching is supported by meditation as well as ongoing training in a variety of healing modalities and mindfulness-based practices. With warmth, sincerity and humor, Mary guides classes that are a soothing combination of strength and ease. Her approach invites an inward focus; a practice dedicated to restoring balance through mindful movement, integrity of alignment and response to energy flow. Her guiding intention is to share an attitude of self-compassion as a key to living life "off the mat" with courage, authenticity and joy. In addition to leading yoga and wellness programs at studio and workplace venues throughout Metrowest, Mary is honored to assist restorative yoga and stress reduction programs at Kripalu Center for Yoga and Health (Stockbridge).